Monakrivo is the pure juice of the olive made in the sunny, semi-mountainous olive groves, in Geraki Elis Peloponnese at an altitude of 160 metres, which is considered ideal for the production of olive oil. 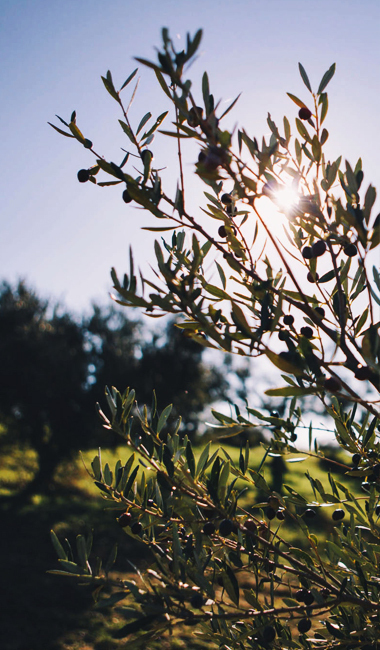 The pine forest and the cool breeze of the Ionian Sea are an ideal combination in this ancient land resulting in a golden high quality olive oil with very low acidity, smooth natural flavour and rich aroma of fresh fruit. Monakrivo is 100% extra virgin olive oil that is produced exclusively with the method of cold pressing from choice hand-picked olives. Monakrivo is made to be valuable. It is our beloved, our precious child. It is an olive oil that is made with such care that it is truly unique.